The best thing about comedy is that you can tackle taboo issues, important stuff that might not normally be talked about. And today, I am going to tackle an important taboo issue: Yachting. The issue is money. Money is one of the biggest taboo issues in America today. People spend money differently, and we tend to do it like our parents, whether we want to or not. Actually, I see a money evolution with each generation less cheap than the previous one. Each generation is less cheap — and less religious. We’re godless spenders. My maternal grandma was by far the most frugal person I’ve ever encountered. It would be easy to call her the cheapest person I’ve met, but “cheap” is a negative word. She was a Pollack from Cleveland, Ohio, who turned frugality into an art form and obsession. She wasn’t a cheapskate. She was a bargainista. Yes, bargainista — like fashionista. Fashionistas take style to a whole other level. My grandma took finding deals and being frugal to an elite place. Her basement was filled with two-liter bottles of soda, huge boxes of laundry detergent, boxes of Ivory soap and all the other things she ever owned in her life. Was she a packrat? Is Donald Trump a racist? But my grandma was more than a packrat. 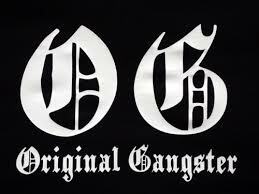 I’m obviously an O.G. — an original gangsta. She’s the O.B. — the original bargainista. Whenever I drink fizz-less, stale soda, it takes me back to grandma’s house. She would use a buy-one-get one coupon for soda, limit four, but she took that to the next level by having friends and family members use coupons for her. She was a coupon pimp. We were her coupon hookers. There was no need to ever buy ketchup or salt or pepper. She had free packets from Burger King we’d use. Why would my mother ever buy me new clothes? She had some perfectly fine clothes I could use. She had a depression mentality of saving that most of us in 2015 just can’t relate to. I have tried to cut the ties of my grandma’s bargainista ways, and I actually buy ketchup bottles in the store. But the more I look back, I believe being a bargainista is something to be proud of. My grandma was a complex individual with many layers of wisdom, practicality and hidden baseball cards (somewhere in the attic, we thought). For the longest time, I’d be slightly embarrassed by how she treated money. But now, I realize it’s something to be lauded — in my mandated clean underwear (if I ever were in an accident, the paramedics would know I came from good stock). Either you know bargainistas, or maybe you yourself are a bargainista. 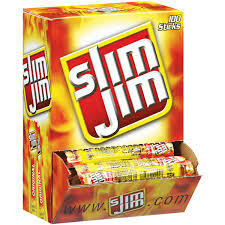 The only problem is sometimes being so focused on getting a good deal, you end up getting a deal you don’t need or want— or end up buying a pack of 100 Slim Jims. • You’ve ever bought a Groupon for a massage, skydiving — or an adult magician. • You’ve argued to use coupons that you fully know are for a different product. I mean: How could there be a difference between Tartar Control with Brightening and Extra Brightening? • You will only keep a Starbucks card because when using a Starbucks card, it completely takes off any pressure to tip the barista. • You’ve ever cashed in a Subway card, coffee shop card or any disintegrating card in your wallet, where you only needed to purchase 10 things in order to get one free. • You’ve specifically bought clothing with the intention of returning it after wearing it just once. • You’ve seen two movies in one day at the same theater, but only paid for one. And in your mind, you consider it justice and a protest against the ridiculous prices of movies nowadays. • You’ve ever smelled a carton of milk three weeks past its expiration date with the hopes that just maybe it will still be good. • You’ve ever had an entire meal on free samples from Costco. I must admit. Yes, indeed, I am a bargainista — just like my grandma. Time to run. Sushi happy hour ends at 6. I DID buy you new clothes and I have a Groupon for a massage. And Gram was the BEST re-cycler of her generation, no doubt about it!